When you hear there’s a new John Lennon documentary touring film festivals and soon to be broadcast on PBS (check your local PBS station broadcast schedule online) you probably think, why? Isn’t there more than enough done on the man, the musician, and the tragedy? For some, maybe many, who have followed all things Lennon, you may see some redundancy and fail to see the relevance of LennonNYC. For others, such as myself, you may perceive a certain level of freshness and appreciate this film’s perspective. Documentary filmmaker Michael Epstein focuses his research and portrayal on Lennon’s (and Yoko Ono’s) New York years where he lived from 1971 until his senseless murder in 1980. When I say focus, I mean focus. Epstein stays true to his point of view- Lennon- and Lennon’s sense of place in New York (except for his brief banishment to L.A. within this period). 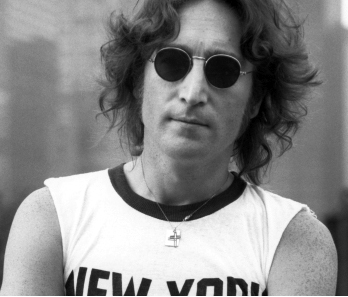 This isn’t a Beatles story, this isn’t a New York story, it’s a Lennon in NYC story-examining why he came to the city, why he loved it, and what he accomplished here, both personally and professionally. Furthermore, and maybe more interestingly, the movie becomes a story of immigration as Lennon was continuously threatened with deportation due to his political allegiances, even as he kept fighting desperately to be granted the permanent residency he so richly deserved. Key to any significant documentary is access, and Epstein obtains much in the forms of, first and foremost, Yoko Ono and music studio audio and video footage rarely, if ever seen and heard. LennonNYC will air in December as part of the American Masters series on PBS. The show is also offering a web broadcast of the episode for viewers at its website here.